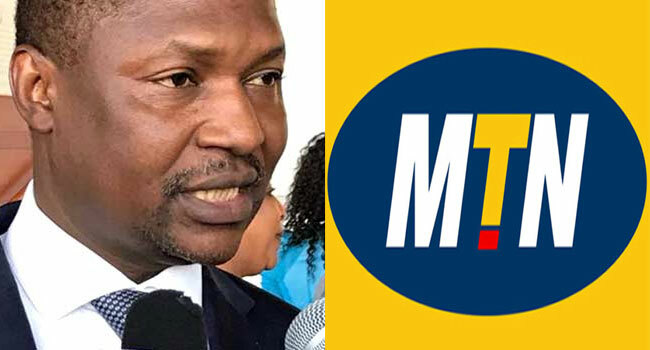 A Federal High Court sitting in Lagos has fixed May 7 for ruling on a preliminary objection filed by the Attorney General of the Federation and Minister of Justice, Abubakar Malami, against telecoms giant, MTN. In September 2018, MTN had instituted a suit to challenge the legality of the AGF’s assessment of its import duties, withholding tax and value-added tax in the sums of N242bn and $1.3bn. The AGF had, however, contended that MTN’s suit was instituted outside the time prescribed by law. At Tuesday’s proceedings, counsel to the AGF, Tijani Gazali, who argued the preliminary objection urged the court to strike out the suit filed by MTN. Gazali argued that the power of the AGF to write a letter to MTN for the payment of the import and withholding tax was included under Section 2A of the Public Officers Protection Act. In the preliminary objection, the AGF’s counsel argued that the plaintiff in seeking redress on the subject matter, has just three months – from the date the cause of action arose – to institute the action. He contended that the plaintiff commenced the suit in clear disregard of Section 2 of the Public Officers Protection Act, which provided that any action commenced against a public officer must be made within three months from the commencement of a cause of action. The Gazali said the plaintiff’s failure to commence the suit within three months as stipulated by law robbed the court of jurisdiction to entertain the suit. He, therefore, urged the court to strike out or dismiss the suit. MTN, through its lawyers, led by a Senior Advocate of Nigeria (SAN), Wole Olanipekun, told Justice Chukwujeku Aneke that the objections of the AGF was unfounded. Olanipekun contended that the era of claiming that a suit was stature barred had been abolished in the Nigerian jurisprudence. He cited Order 29 Rule 4 to the effect that the preliminary objection of the AGF was filed out of time and since there was no application for extension of time, it must fail. The SAN also submitted that there was no competent application before the court. He argued that the court cannot at this stage dismiss or strike out the suit without the evidence of parties. Olanipekun then asked the court to dismiss the objection as being frivolous. After listening to the arguments of both parties, Justice Aneke fixed May 7 for his ruling.